This project is for the complete refurbishment and extension of a terraced protected house on the seafront in Clontarf Village. 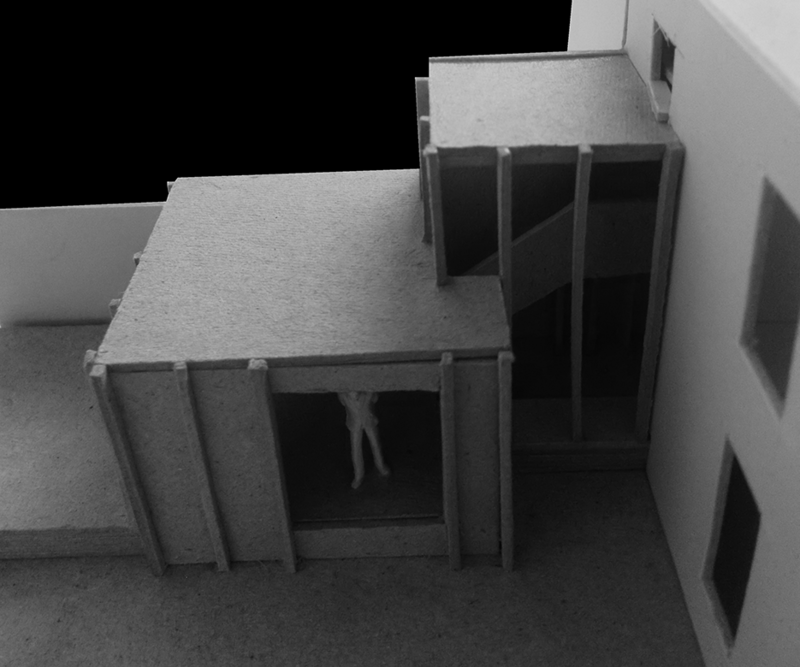 The house has a poor orientation with the rear garden enclosed by tall adjoining structures and facing directly North. It also sits at a point in Dublin Bay where the water table was just below ground level and dealing with rising damp throughout the existing structure had a significant impact on the design. The primary architectural solution was to create an elevated new single storey rear extension, finished in white bagged brickwork, which catches the evening sun. 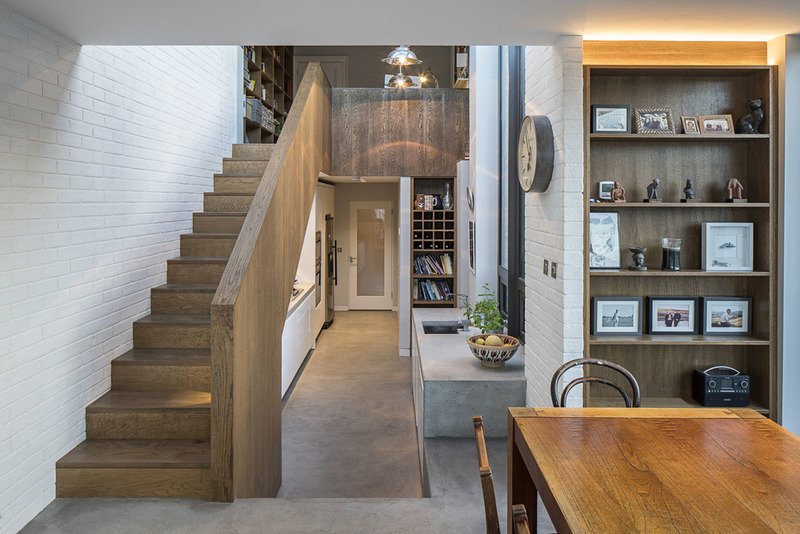 This in turn was linked to the existing house via a glass lantern, a double height space containing a new oak lined stairs which stretches over the insitu concrete kitchen, to the first floor study and landing, creating a vertical circulation loop. A reversible birch veneered liner was introduced to all walls on the ground floor, covering the staining and damage from constant rising damp, allowing the walls to breathe freely and providing a canvas on which to hang art and conceal lights. 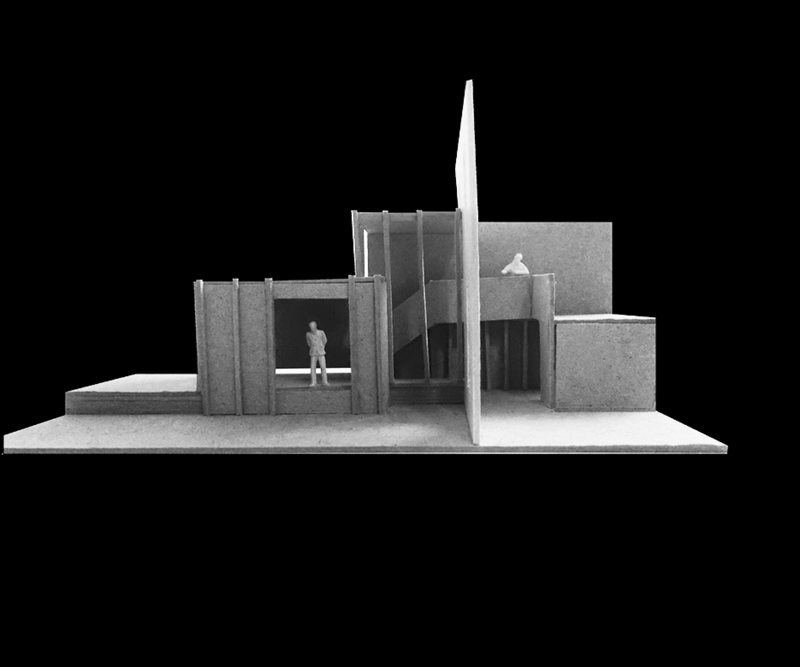 The final punctuation was a new 3 metre high door to the rear elevation which adds a visual connection to the polished concrete courtyard and reflecting pool from the main hall, allowing a front to back view of the plot.